This isn't just an animal rights' issue. Animal testing has become a questionably effective thorn in the side of scientific progress. While it was once our best method, alternative methods are beginning to surpass animal testing in both accuracy and reliability. Fortunately, the EPA recently released a draft strategy to reduce the use of vertebrate animals in chemical testing. This public stand against animal testing is a part of the EPA’s commitment to the Frank R. Lautenberg Chemical Safety for the 21st Century Act, which amended the Toxic Substances Control Act (TSCA). “This draft strategy is a first step toward reducing the use of animals and increasing the use of cutting-edge science to ensure chemicals are reviewed for safety with the highest scientific standards,” said EPA Administrator Scott Pruitt in a statement. The EPA’s draft strategy is currently available for public comment, and will be for 45 days as of March 7. The draft strategy has three relatively simple components: “identifying, developing and integrating” new approaches for Toxic Substances Control Act decisions; building confidence that these new methods are scientifically reliable, and relevant to toxic substance decisions; and implementing the new methods that are a best fit. Of course, that’s much easier said than done, and the plan notes that this “necessarily describes a multi-year process with incremental steps for adoption and integration” of new testing methods. Reducing and eliminating animal testing is no longer just an animal rights’ issue. 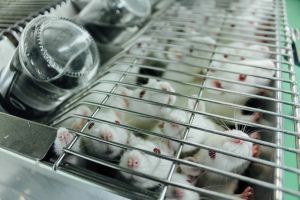 Unfortunately, animal testing has been shown to produce some misleading, unreliable results, given that animals’ bodies respond to drugs and medical conditions in some significantly different ways from humans’. Fortunately, as the EPA continues to reduce animal use in testing, alternative methods continue to develop and improve. It is possible that one day soon testing will be both animal-free and more accurate than ever before.